Then: Strawberry Shortcake was designed in 1977 by Muriel Fahrion, a greeting card designer for American Greetings Corporation, the world’s largest greeting card company. Kenner licensed the character and released the first Strawberry Shortcake doll in 1979. 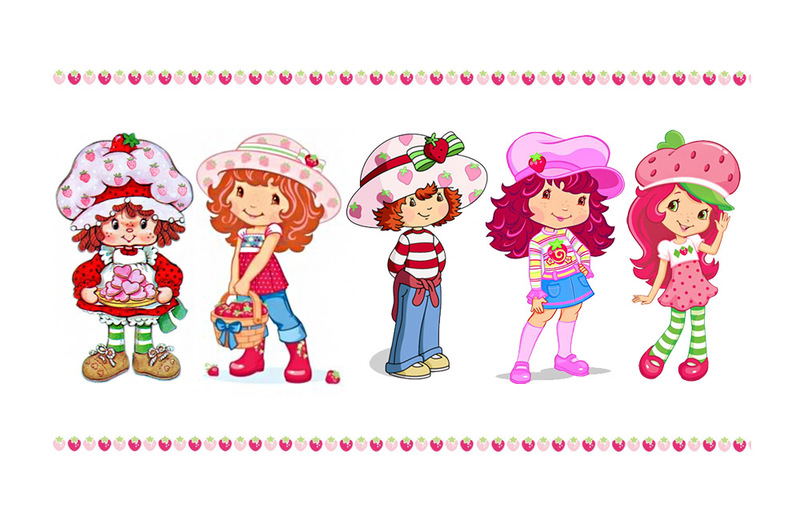 At the time, Strawberry Shortcake resembled a typical rag doll, complete with freckles, a mop of red yarn curls, and a bonnet with strawberry prints on it. Strawberry Shortcake lived with her cat, Custard, in a LITERAL strawberry shortcake (take that, Barbie Dream House)! Hers was a life of leisure, primarily spent tending to her garden of strawberry vines (naturally), exploring nearby lands, and snacking on sweets while visiting friends with similar dessert-based names, like Blueberry Muffin and Huckleberry Pie. By 1980, Kenner had a hit on its hands as Strawberry Shortcake became enormously popular with girls all over the world, aided in part by the exposure gained through The World of Strawberry Shortcake, the first of her many animated TV specials. Now: The Strawberry Shortcake character license has changed hands five times. It moved from Kenner to Toy Head-Quarters (THQ) to Bandai, to Playmates Toys, to Hasbro, and now, since 2014, is owned by a company called The Bridge Direct. These transitions have resulted in changes in the doll’s appearance and attitude. Each rendition has been made progressively thinner, for example. Her bloomers have been swapped for more fashion-forward couture, and today’s version comes equipped with a cell phone. Despite her name, the emphasis on carb-laden desserts has also been downplayed over time too. In 2009, Hasbro performed a “fruit-forward makeover” on the entire Strawberry Shortcake product line, placing a greater emphasis on healthy fruits and smoothies served up in her very own Berry Café. A recent story by Marilen Cawad on TheStreet website identifies play pets as one of this season's most popular holiday toys and provides insight into their enduring appeal.